The kitchen is often the busiest place in the home – a hub for family and friends to gather. If you are lucky, you have a large and cozy kitchen with a huge window to let in the sunshine on those gray Winter days. But on the days that the sun fails to show up or after it is neatly tucked behind the clouds for the evening, you have to rely on artificial light. Back in the day, when kitchens were merely a place to prepare food, everyone gathered in the dining room, a simple light fixture did the trick. But, as more and more people use the kitchen as a gathering place, the need good task and ambient lighting is imperative. There are many ways to light up a kitchen; you can take your kitchen from plain to elegant and sophisticated just by the placement of various lights in the room. The trend in 2016 is for layered lighting – many different types of light that you can use to highlight objects, provide extra light for tasks or just for fun. Who would ever have thought to have pendant lights made from wicker over an island for example? It is a different look that the usual pendant lights we see used in the kitchen. In recent years LED lights have appeared here, there and everywhere in the kitchen. They far exceed the capabilities of the old incandescent light bulb and are much less expensive and longer lasting than the highly touted CFL bulbs. Low-voltage LEDs stay cool to the touch and have become the go-to light for cabinetry. How so? The biggest trend for kitchen lighting in 2016 is extensive cabinet lighting. 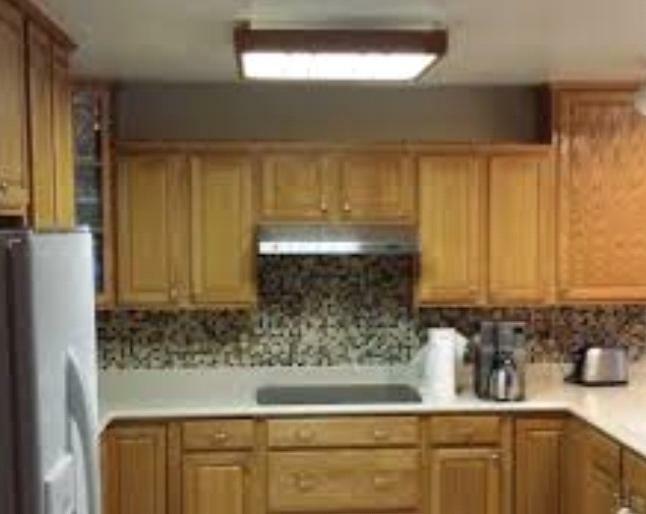 Low-voltage LED light tape strips are being used as accent pieces below cabinets, above cabinets and below countertop overhangs and even inside cabinets – no more standing on tiptoes to peer to the back of the cabinet for something because everything is illuminated. 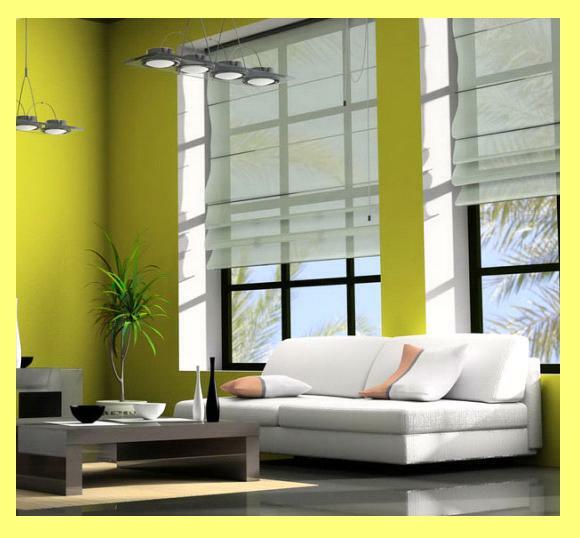 Lighting used to provide light for the task at hand is called task lighting. Depending on the size and configuration of the kitchen, in addition to the proximity to the kitchen window, there is often the need for supplemental lighting in addition to a solitary fixture in the room. Often, due to large appliances or dark cabinetry, countertops and even the floor, the kitchen might look dark and shadowy in areas. If the cook has been putting too much salt in the soup lately, perhaps it is because he or she cannot read the recipe properly as the kitchen is too dark. So why not help them out with some additional task lighting? Track lighting is lighting which is overhead and will provide the very best lighting for tasks all around the kitchen. Task lighting will layer lights in the room, fill in the gaps and corners where other lights do not reach and they are adjustable. Track lighting is versatile and comes in energy-efficient options. Recessed lighting is just how it sounds, lights are stationed within hollow or recessed areas of the ceiling. Recessed lights work best for high ceilings and will give a clean and streamlined look to the room. Newer homes are often built with higher ceilings and recessed lights have become the norm, but, if you desire them, they may be retrofitted into existing ceilings. Recessed lights will give substantial light to the room and make the kitchen seem much bigger. The installation of recessed lights is not really a do-it-yourself project, and you’d be better off getting a top electrician in Warren, New Jersey. Once you have task lighting in place, it is time to think about layering in some more lights. This way you do not rely on one or two sources for the light in the room as you cannot always rely on the sun. Foyer lighting is an option for kitchens directly adjacent to the foyer. A row of pendant lights will push light from the foyer into the kitchen area, at the same time as looking elegant and polished. Dimmer switches are an alternative form of lighting which creates instant ambiance in the room. Dimmer switches have been around for ages, and give off a soft light. 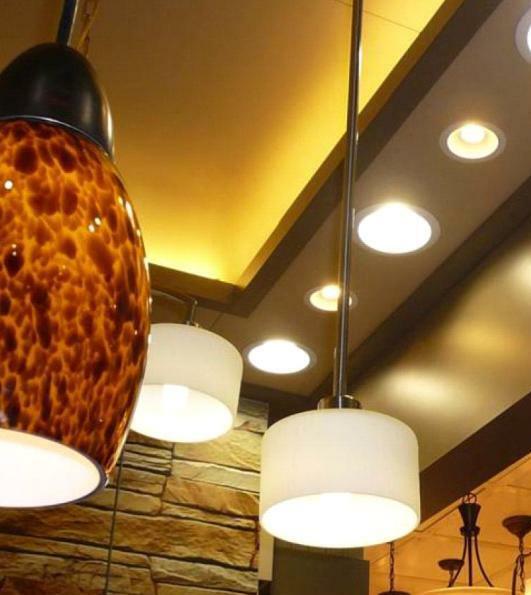 Sconce lighting will provide good ambient lighting in your kitchen. Whether you use a pair of sconces or hang one on a wall by itself, a sconce will shed light upward. Sconces are available in a wide variety of styles (contemporary, rustic or natural) and finishes (burnished, copper and brass). The sky’s the limit for lighting solutions for your kitchen … and speaking of the sky, don’t overlook the idea of a skylight as well. A top electrician in Warren, New Jersey can tell you if your home could accommodate a skylight or help you pick the perfect lights for your kitchen.